Here is another photo for the Windows of Dreams series I am preparing for an upcoming book. Prada and the sky, like the between two worlds Brides it is a contrast between the reflection of the sky and the window itself. 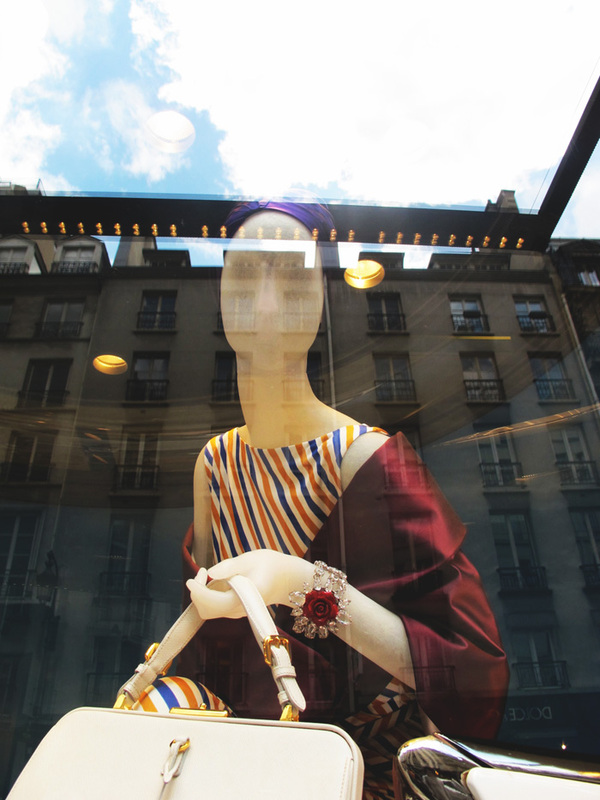 The photo was taken in the recently inaugurated Prada boutique in Paris. As a little detail concerning the brand with parenthesis, it has decided to concentrate on jewellery-accessories (bracelets, necklaces) in the last seasons and you can see their presence in the merchandising which gives it a unique Prada kick that goes great with the whole.